The Curious Craigslist Market For Empty Phone, Laptop Boxes : All Tech Considered Help us, All Tech readers. What's up with all the "box only" Craigslist ads for the empty packaging of iPhones and MacBooks? 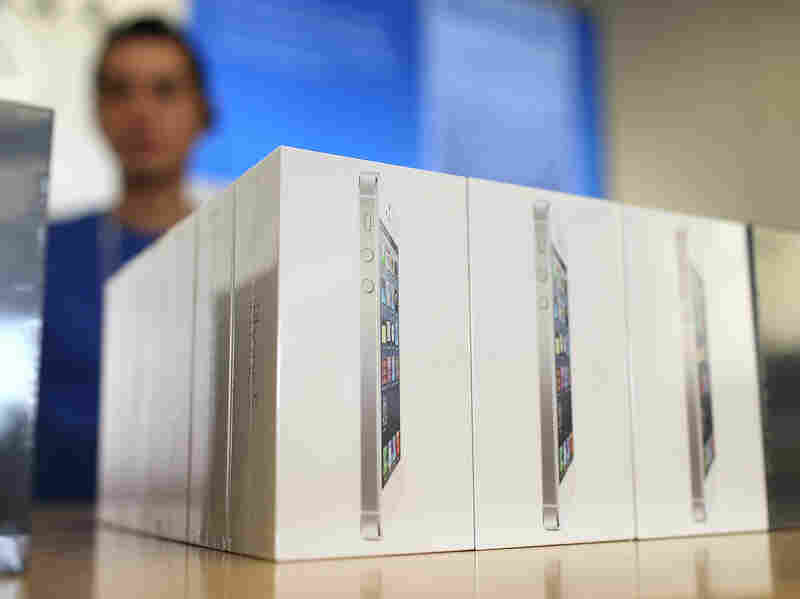 Boxes of the new iPhone 5 are displayed at an Apple Store. On Craigslist, used, empty boxes are offered for at least $10. A quick scan of Craigslist reveals a curious market for not just smartphones and computers but the empty packaging of smartphones and computers. 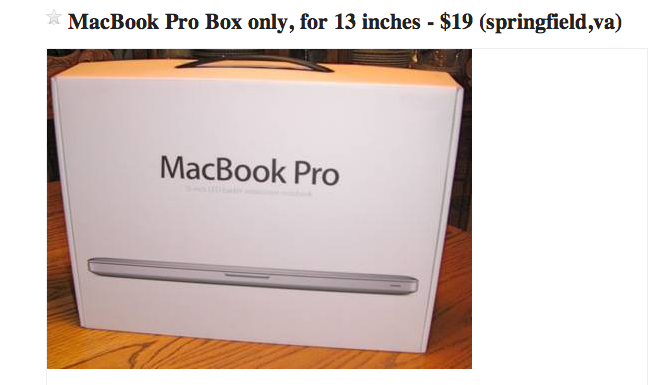 On my local Craigslist, a MacBook Pro box — "box only," as the sales pitches read — goes for $19. A MacBook Air box will cost you $15. And a Samsung Galaxy S4 box sells for $10. This box market seems limited to the smartphone, tablet and computer packaging, and not boxes for, say, televisions or jewelry. Sure, a lot of computer packaging can be impressive in its engineering to fit all components snugly. But $19 for a box? What's going on here? We're hoping you can tell us.